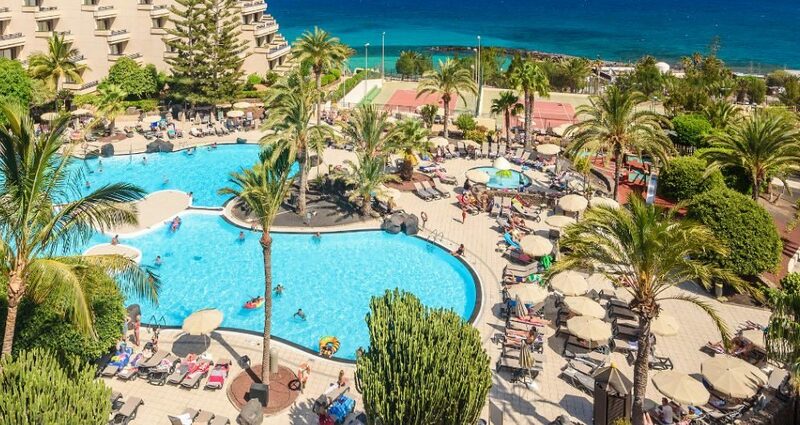 Occidental Lanzarote Playa is located on a rocky headland overlooking El Ancla Beach and the Atlantic Ocean. 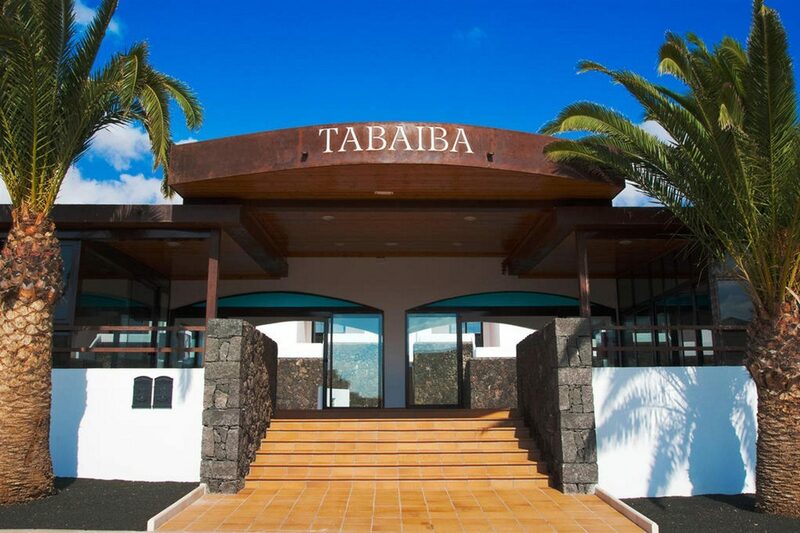 Everything at this Costa Teguise hotel is geared towards a fun and family-friendly holiday in the Lanzarote sunshine. The pool area is the star of the show during the daytime. Sunbathe on the sun terraces, while the kids splash around in their own pools. On dry land, discover a kids' club, playground, and a video games room for younger guests and a relaxing sauna and hot tub for adults. There is also something for all the family to enjoy when it comes to mealtimes. The main restaurant serves tasty buffet meals or you can indulge in gourmet fare in the a la carte eatery. At night, enjoy cocktails in the bar or sit down to watch the evening entertainment on stage. Retire to your contemporary guest room where modern touches add to your comfort. There is Wi-Fi access to keep in touch and a comfy bed to aid a restful night's sleep. Take in the views of the pool, gardens or sea as you relax on your private balcony. Choose Occidental Lanzarote Playa for family-friendly holidays in Lanzarote. Occidental Lanzarote Playa offers plentiful facilities, including: three outdoor swimming pools, two children's pools, sun terraces with sun loungers, pool towels, and parasols, direct beach access, two restaurants, two bars, sauna, hot tub, Wi-Fi access, complimentary bus service to Las Cucharas beach, and 24-hour reception. Sports and activities include: fitness studio, kid's club, adventure playground, video games room, daytime animation programme, and multi-sports court with paddle tennis and tennis. Golf, windsurfing, surfing, kite-surfing, jet skiing, fishing, scuba-diving, and cycling are also available in the local area. The hotel has a total of 372 modern guest rooms, junior suites, and suites. Double rooms come with air-conditioning, satellite TV, telephone, bathroom with hairdryer, minibar, safe, Wi-Fi Internet access, and balcony or terrace. El Ancla Buffet Restaurant serves a menu of local and international dishes. Gourmet dishes are also served to your table in La Geria a la carte restaurant. The Pool Bar is the perfect to sit and enjoy a cold al fresco drink or you can head indoors to enjoy coffee or cocktails in the chic Lobby Bar. The evening programme entertains you with live music and shows.